Seth Godin is a genius and deserves some consideration if you’re interested in changing the world and, just as important, changing yourself in the process. If you don’t know who he is, read on. 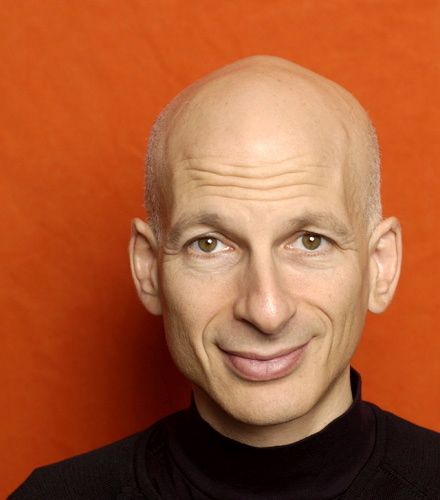 In his new book, Linchpin, businessman, marketer, blogger, auteur Seth Godin asks the question: Are you indispensible? By that account, Seth is a certifiable genius. This blog is about making sense of a complex world and Seth is one of those people that does that, paradoxically, by making things simple. Paradox is a hallmark feature of complexity and one of the reasons why the world is so often puzzling to us. Efforts to quell terrorism lead to more terrorism, exercises in control lead to greater instability (for more examples see another great book by Joshua Cooper Ramo) — that sort of stuff. Seth is a straight-talker without being arrogant or simplistic. He his assertive without being aggressive. He challenges, while supports and understands. He is a rare being and one that I think deserves a blog post and some promotion. Some examples? In his book “The Dip” he makes the case for quitting. We often hear that quitters never win and winners never quit, yet Seth shows how that’s not the case. It’s thoughtful and strategic quitting that counts. In his recent interview on CBC’s Spark, Seth courageous says: “If you can’t get over your fear of the stuff that’s working, then I think you need to give up and do something else” . Few people are willing to say this stuff, but its true. We often fear success, because we’re not supported in doing something that doesn’t fit the system of production created for us in work, school and society from the 20th century onward. Another great interview from Seth (also on Spark) is available here . Lastly, I want to say that Seth is one who not only speaks but he acts. He invited a couple thousand of his blog readers to get a free copy of Linchpin in exchange for a donation to the Accumen Fund, which aims to transform the lives of people in poverty worldwide, particularly in Africa. I took up this offer. Seth believes that the world works best when we’re able to tap into our natural motive for generosity and to further back that up, he sent me a SECOND book for free to give to someone else. I’ve done one, well five, better in return. I chose to purchase a five copies of the book for each of the members of my research team; a talented group who form a wonderful linchpin for the future of health promotion and social innovation. I’ve endorsed a product like this because I think it has a message that is necessary in a complex world of rapid change, where making sense is hard and often confusing. But in an age of uncertainty, stress and the collapse of many of our institutions due to rapid change, Seth provides inspiration, guidance and clear-headed thinking in a way that few others have. If I can offer one thing to Seth in small payback for his inspiration in me, the least I can do is write about him and encourage you to follow his lead and, in doing so, follow you own.